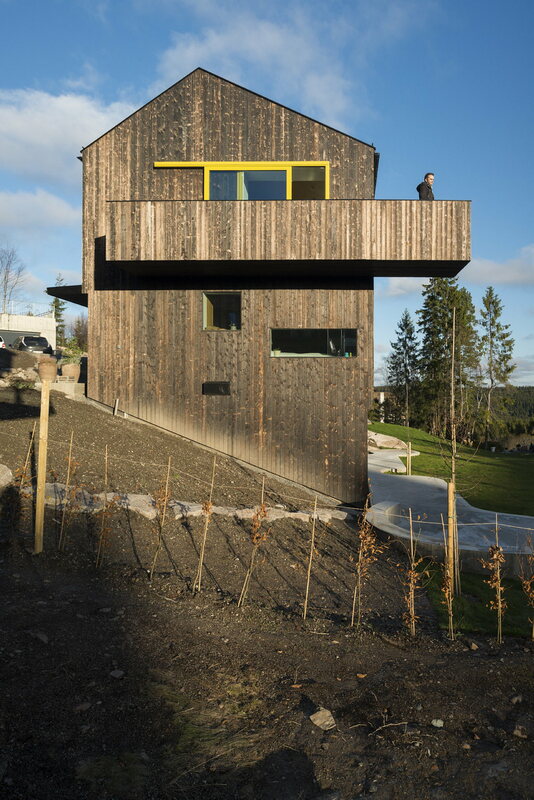 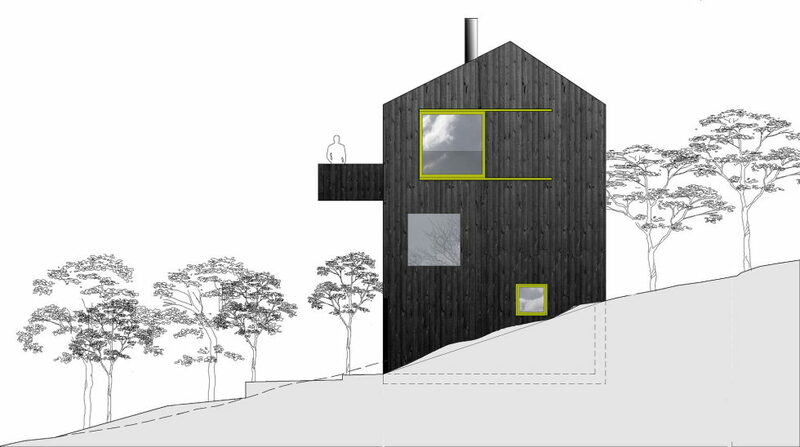 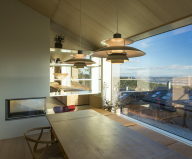 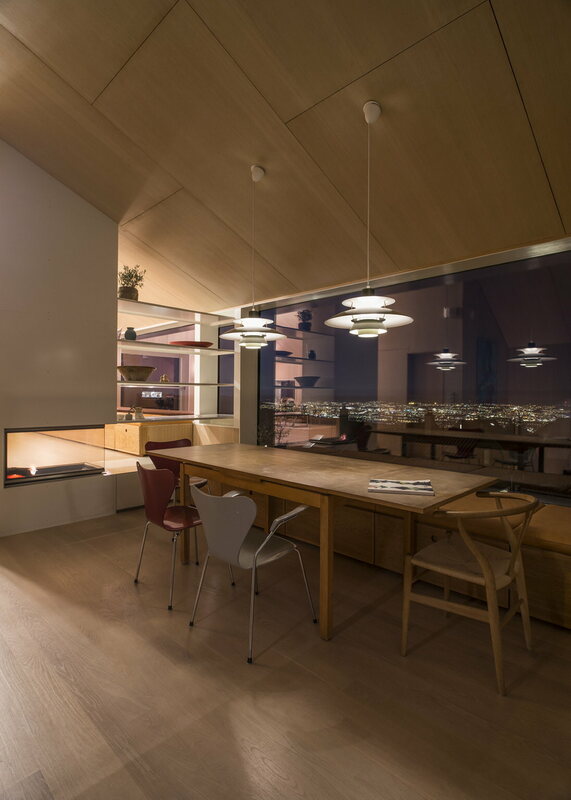 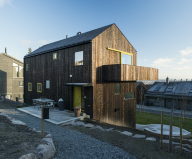 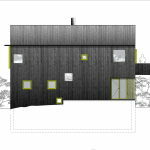 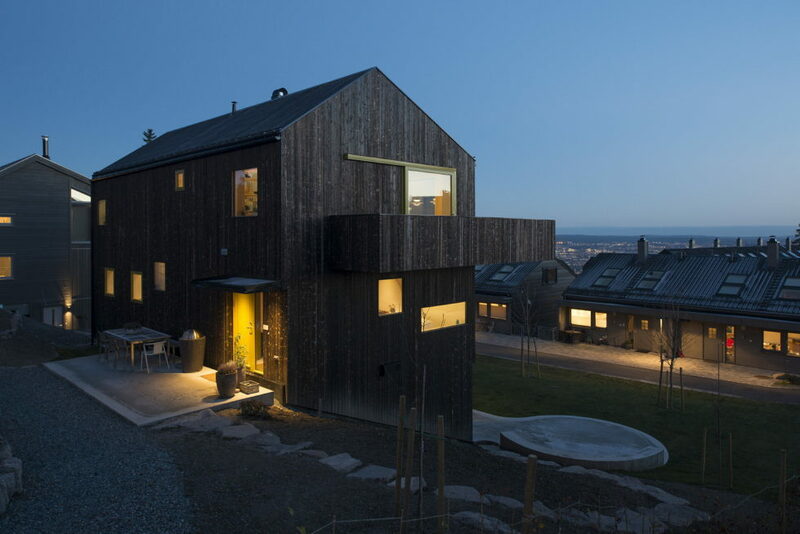 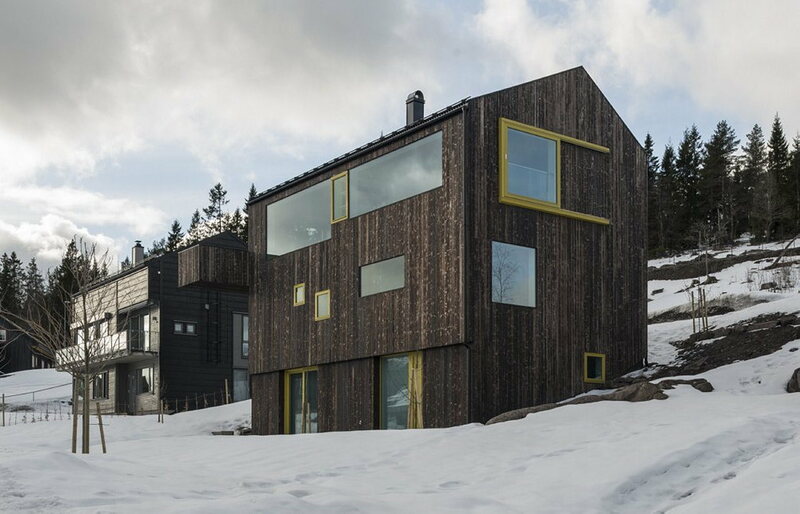 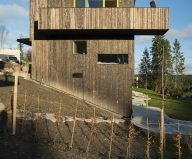 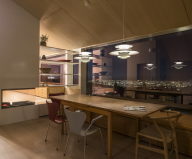 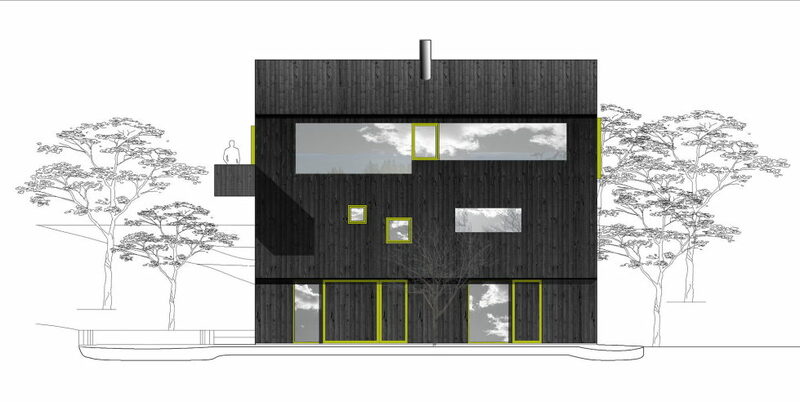 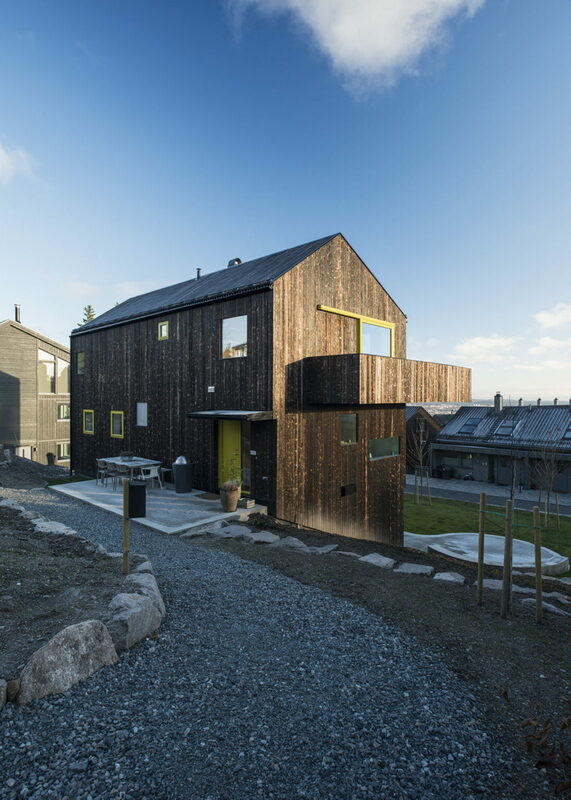 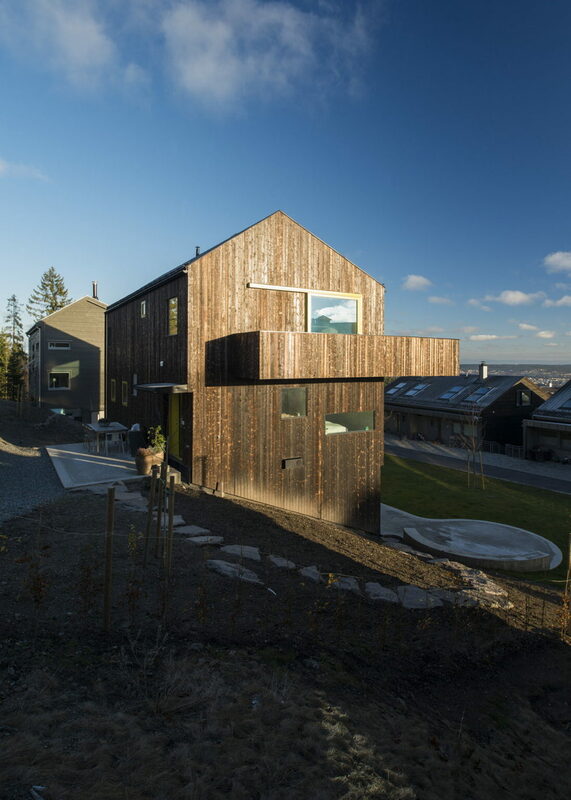 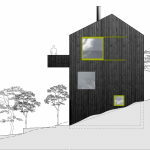 Modern wooden House Linnebo overlooking the city of Oslo, Norway was designed by the architectural firm Schjelderup Trondahl Arkitekter in 2014. 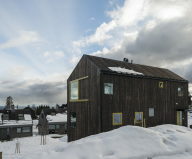 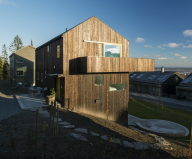 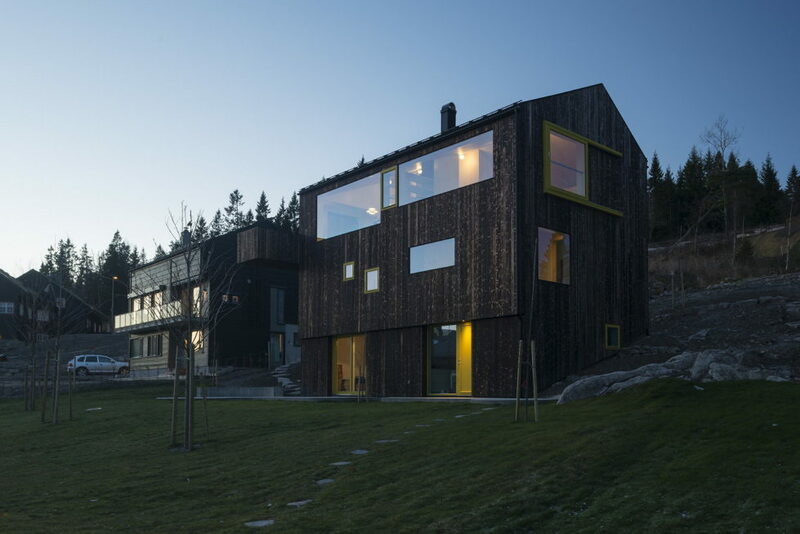 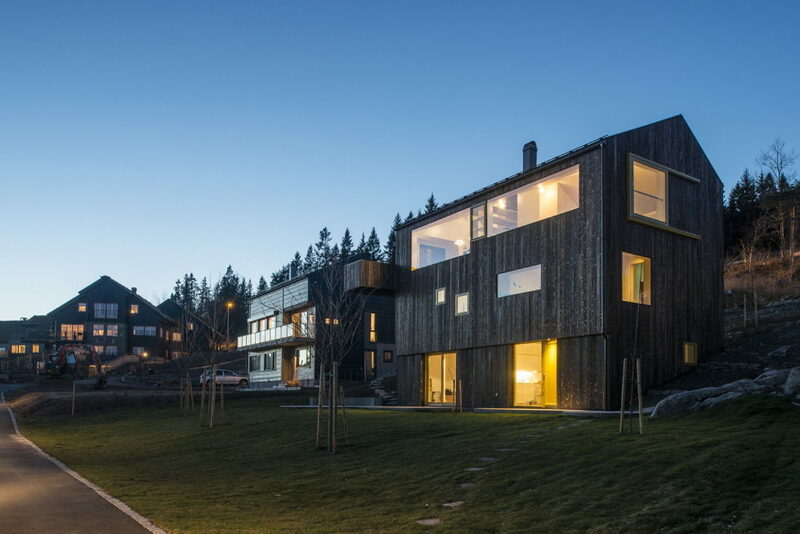 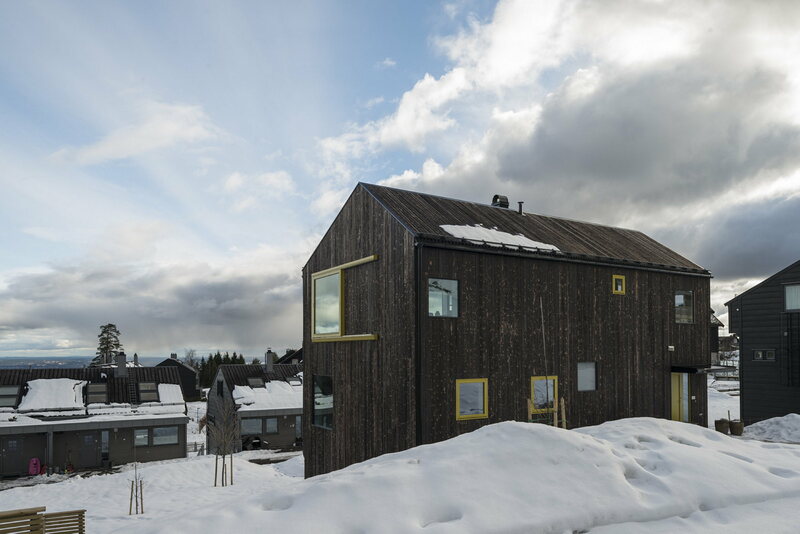 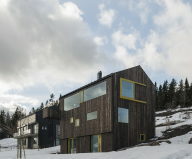 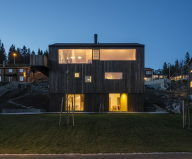 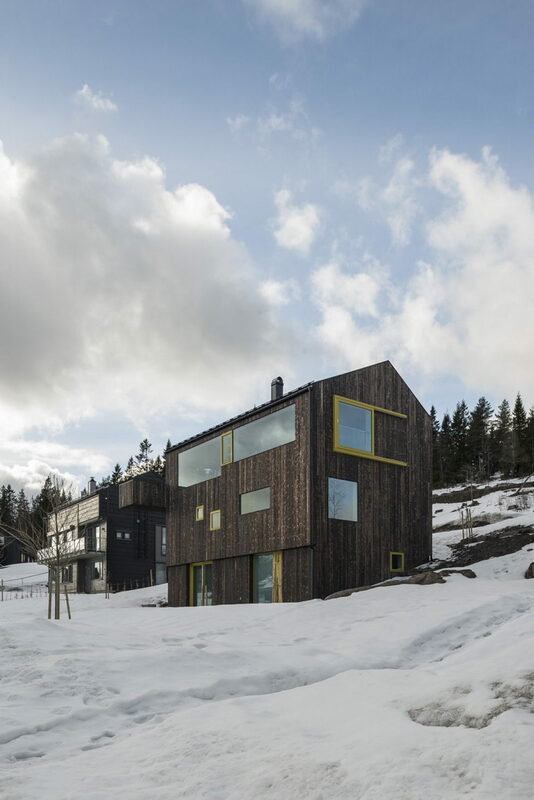 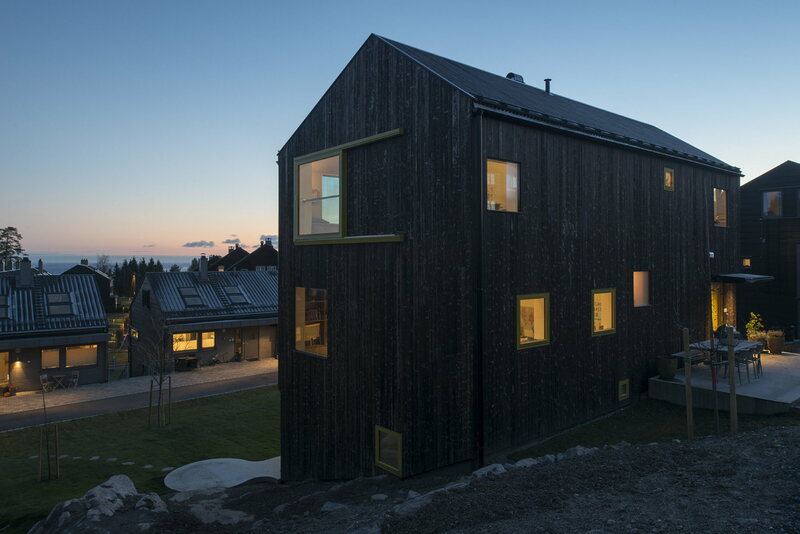 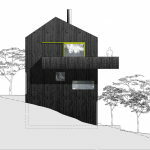 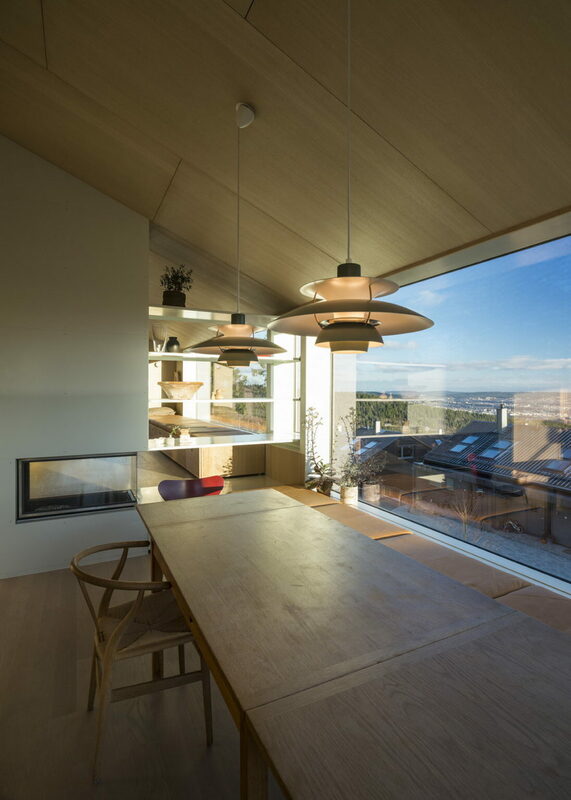 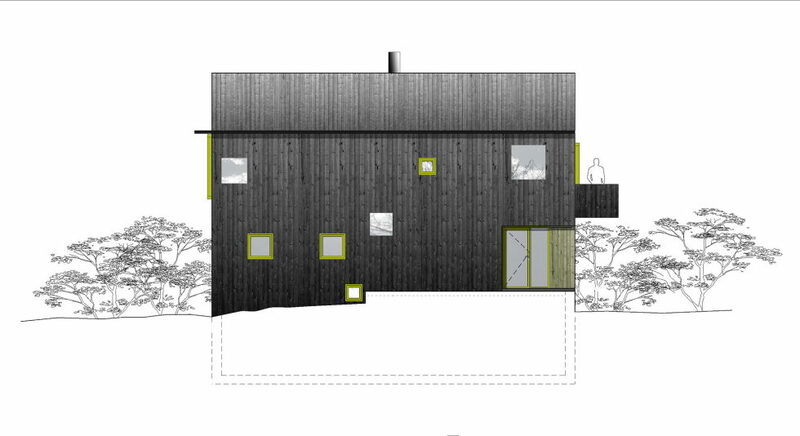 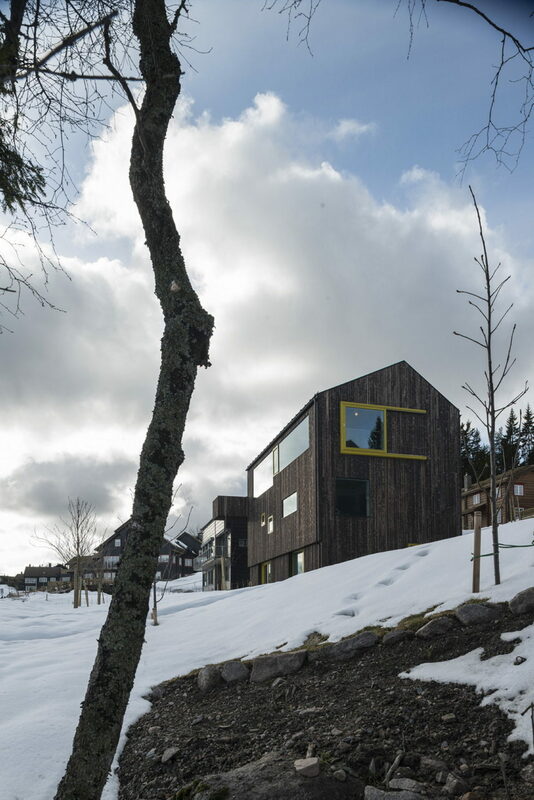 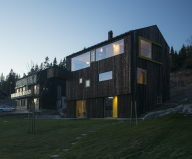 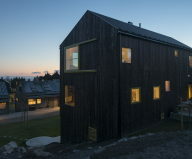 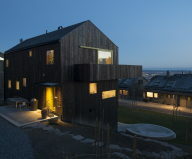 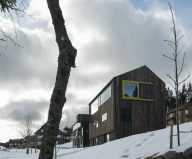 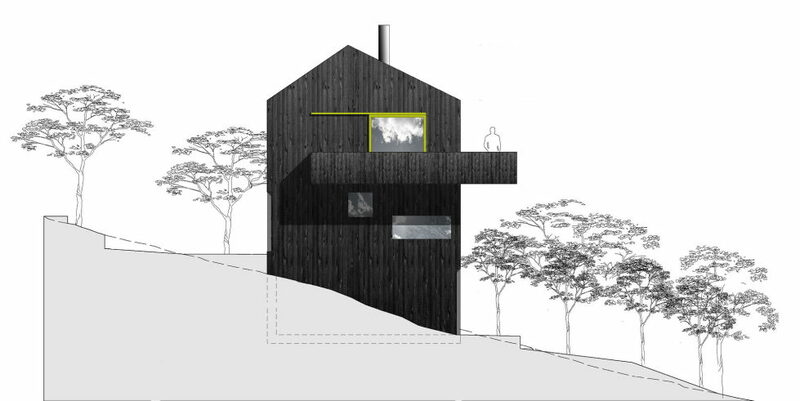 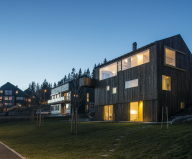 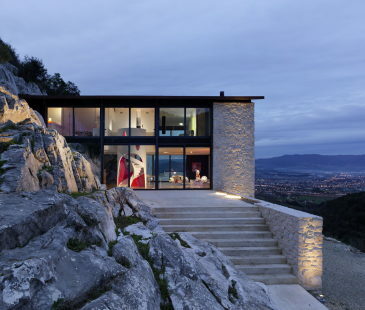 A three-story private cottage of 270 square meters is situated on a hilltop in Holmenkollen, the famous ski resort. 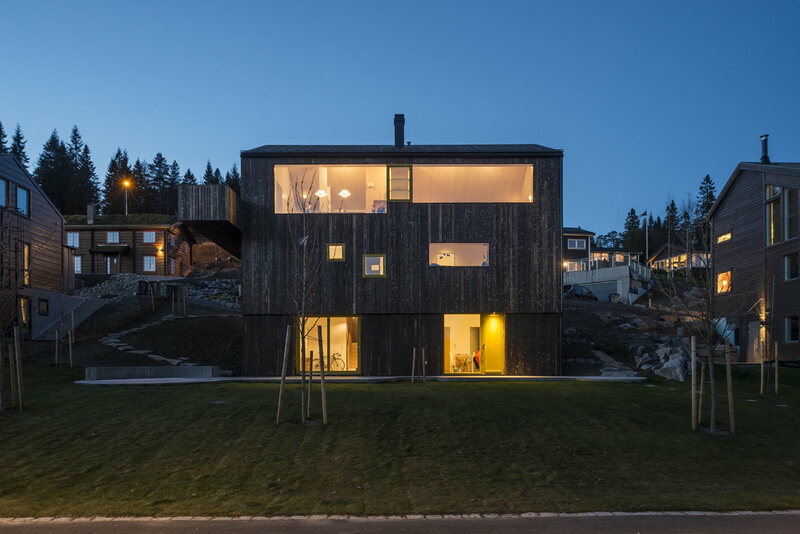 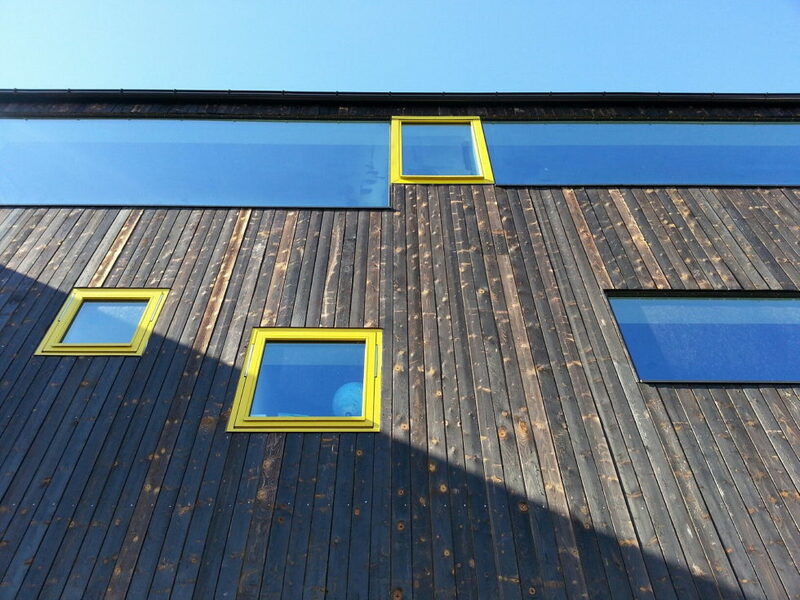 The facade of local burnt fir looks harmoniously with the neighboring developments. 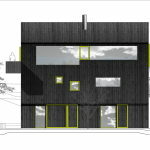 Laconic architecture is enlivened by a plenty of unusual bright yellow-green windows of various shapes and sizes that makes the exterior friendly, lively and uplift the spirit. 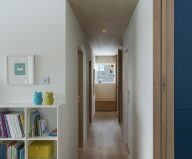 There is the social area, guest room and utility rooms on the first floor. 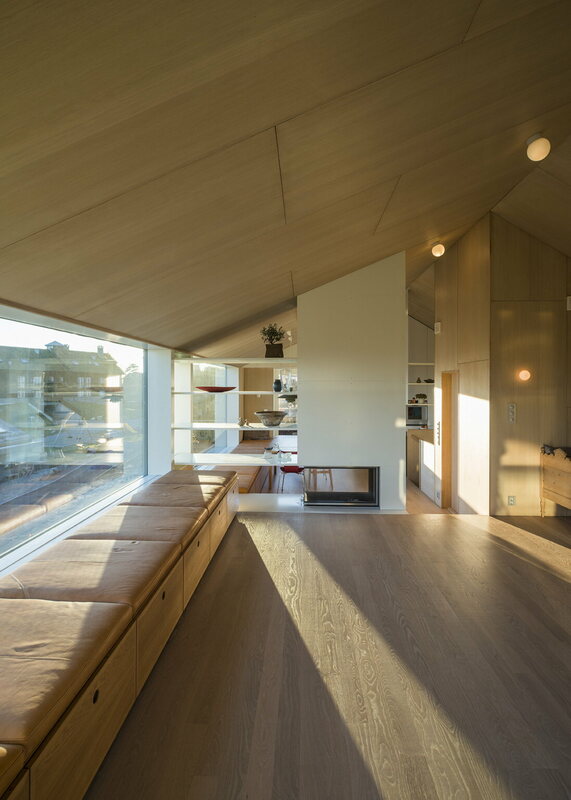 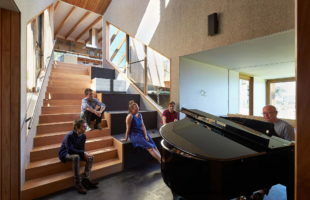 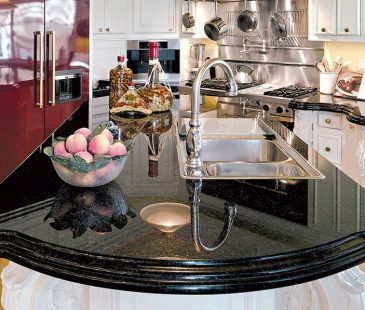 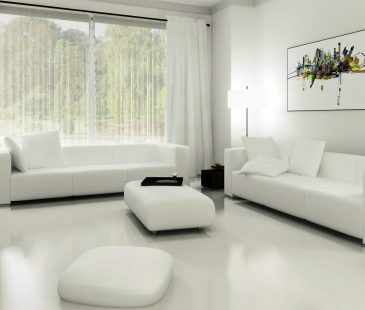 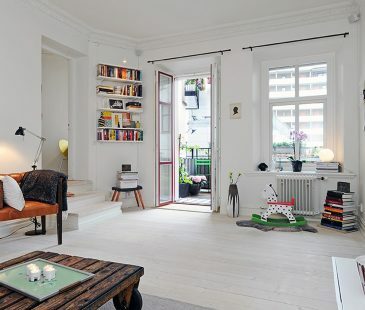 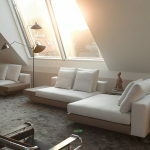 The living room, dining room and kitchen have a little bit different floor levels: the living area is designed higher, the dining room and the kitchen – lower. Through the glass doors in the living room you can get to the spacious terrace with the charming garden planted with Japanese cherry. 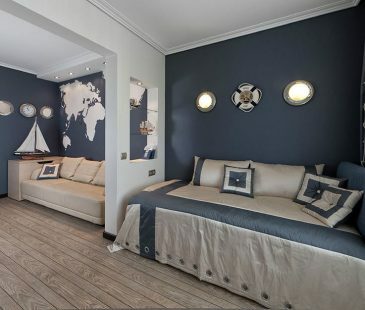 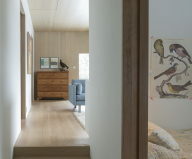 Bedrooms of different interior styles are located on the upper floors. 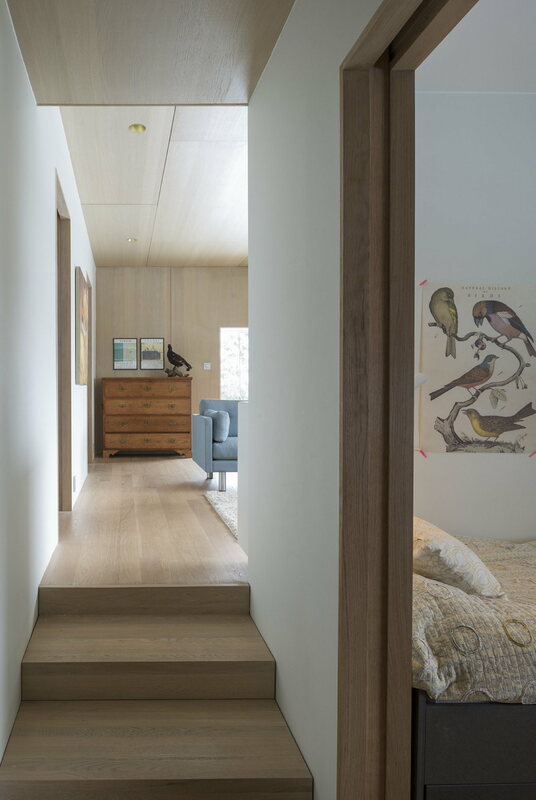 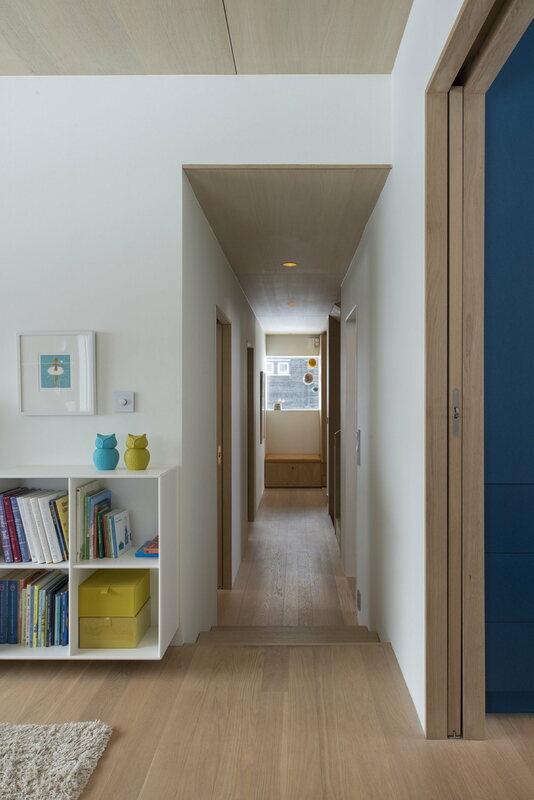 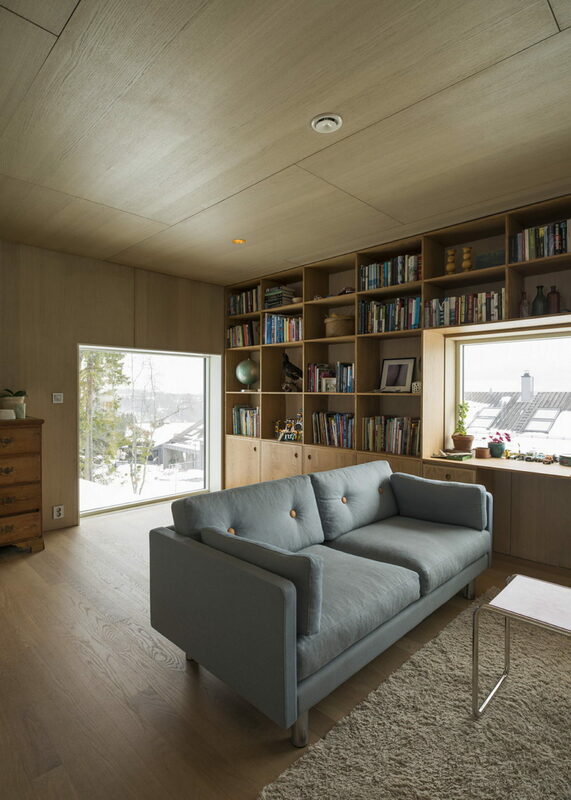 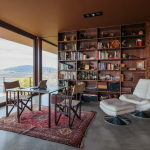 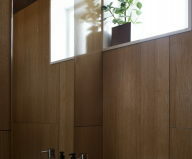 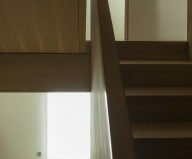 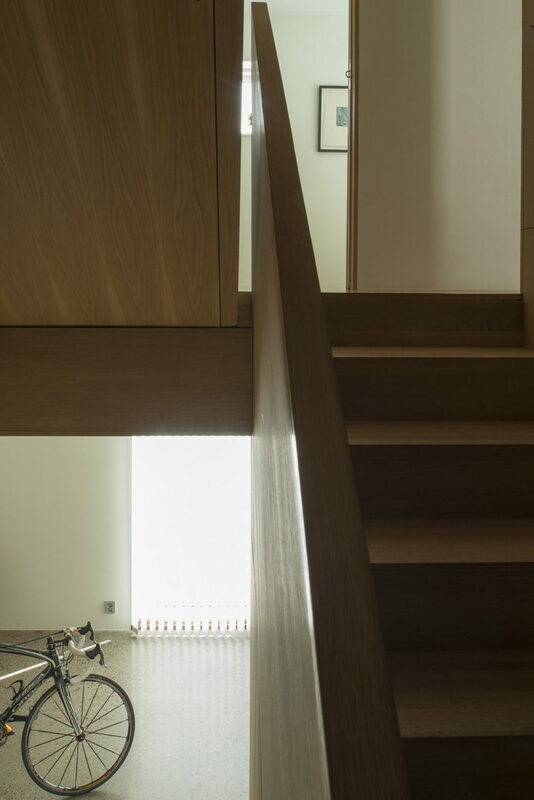 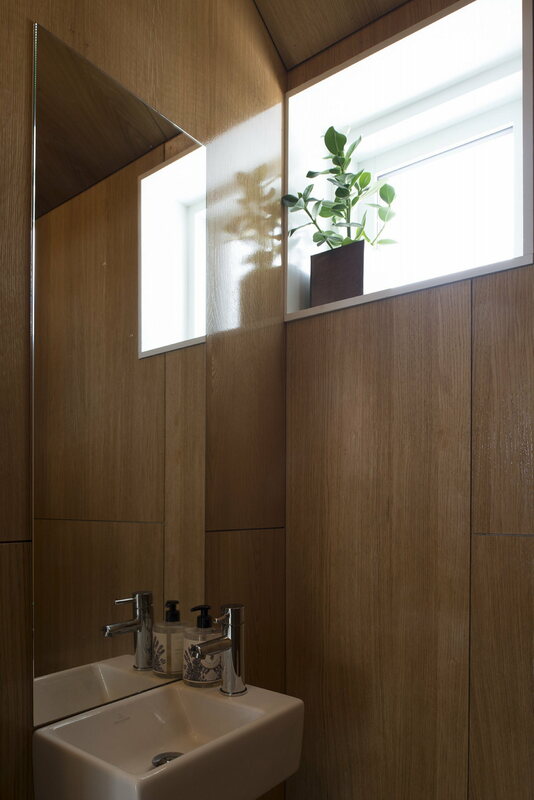 The atmosphere in the house is comfortable and cozy thanks to natural finishing materials used in the interior including panels and floorboards of light oak and veneer.